Here we are, back with the motorbikes, roosters, and stray dogs once again. We are in Bali, Indonesia. After our two month break from these things, the relentless reminders of travel through Southeast Asia, hearing them once again made us realize that we have actually missed them: the roosters who don’t really crow at dawn but start at the early hours of three and four am; the family of four traveling into town on one motorbike; the stray dogs that wander the streets. We are back in Asia and thrilled to be here once again. 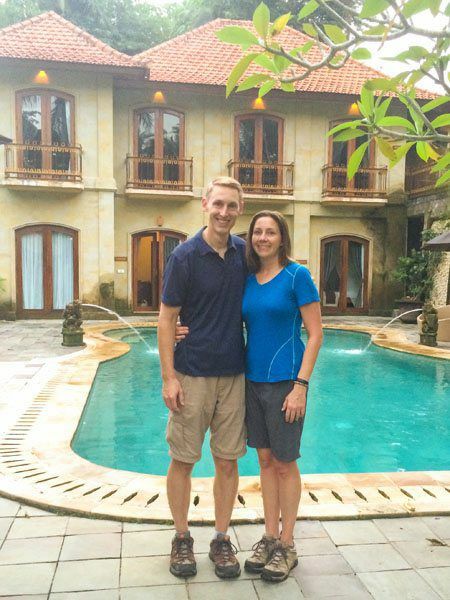 As a “vacation from our vacation,” as we like to joke, we are spending two glorious weeks in Bali. We were very much in need of some downtime after our whirlwind tour of Australia. In a little more than a month we will be heading back home. During this time our traveling pace will pick up again. Being in Bali and taking this break from our fast paced traveling has given us time to reflect on the almost full year of travel we have had so far. At the time that I am writing this, it is currently day number 355, quite impressive. With that 355 days has come thousands of memories created, most very good, some bad, but all of them treasured, these days which have formed the most incredible year of our lives. As I sit here, looking out at rice fields and palm trees, hearing motorbikes honking their horns, feeling the warm, muggy, tropical air, I feel incredibly fortunate to have taken this journey with my family. It has been more than I ever hoped it would be and let me tell you, I had huge expectations for this year. I watched my children grow up, becoming more mature, better speakers, and more outgoing. They learned some very valuable lessons about life and the world. Having removed ourselves from the United States and everything you are expected to be in order to be a “successful” member of society, our views are very different now. That big house and that fancy car really are not that important. People can have so much less and be incredibly happy. 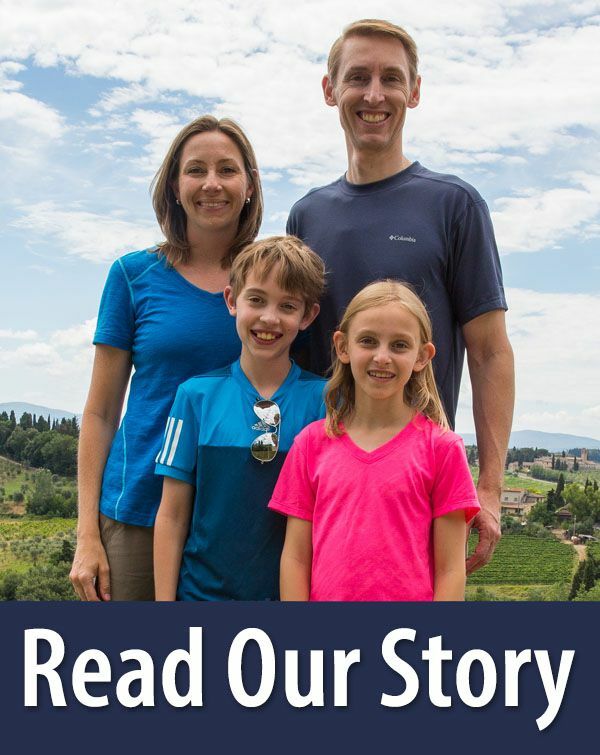 We have traveled with all of our belongings on our back and had the happiest year of our life. I now look at our storage room of belongings as a huge burden. What I hold most dear now are our memories, our photos, and this time I had to grow with Tim, Tyler, and Kara. I am looking forward to going home, seeing friends and family, but I know I will always be wistfully thinking back to this year of adventures. I wouldn’t trade it for anything in the world, this trip around the world. 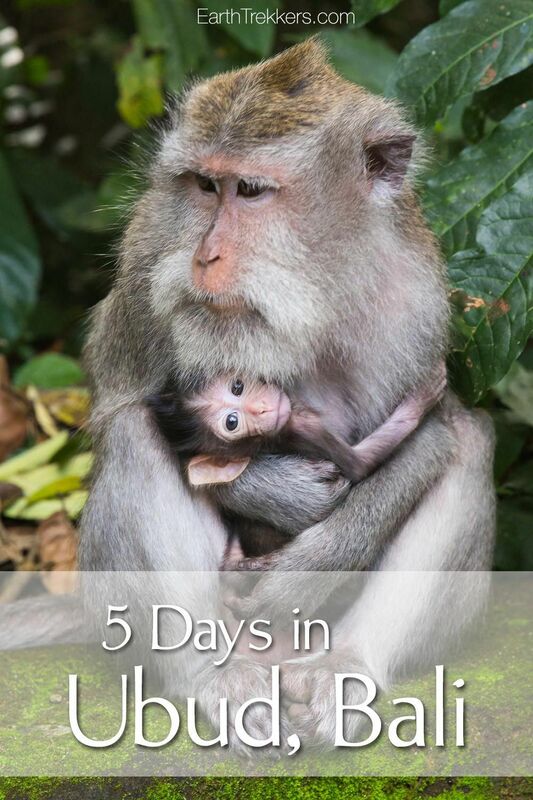 Our fast paced travel came almost to a screeching halt when arriving in Bali. 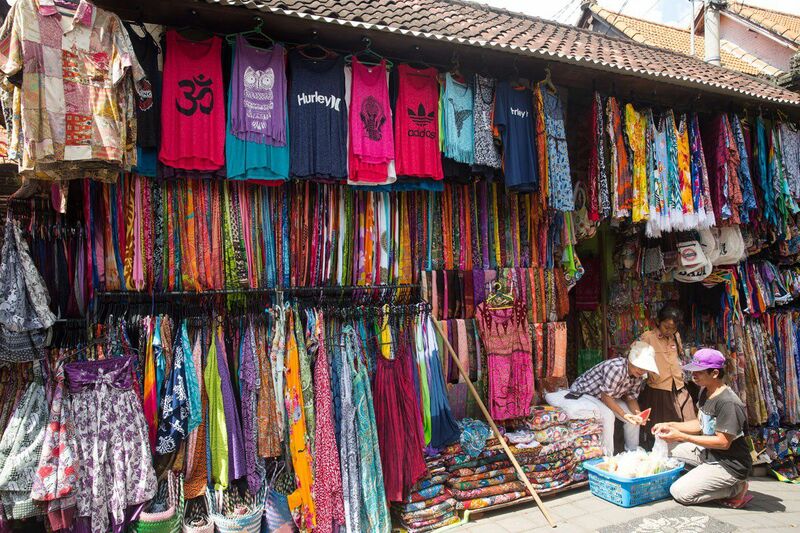 We started our time in Ubud, the cultural heart of Bali, away from the beaches that are so popular. 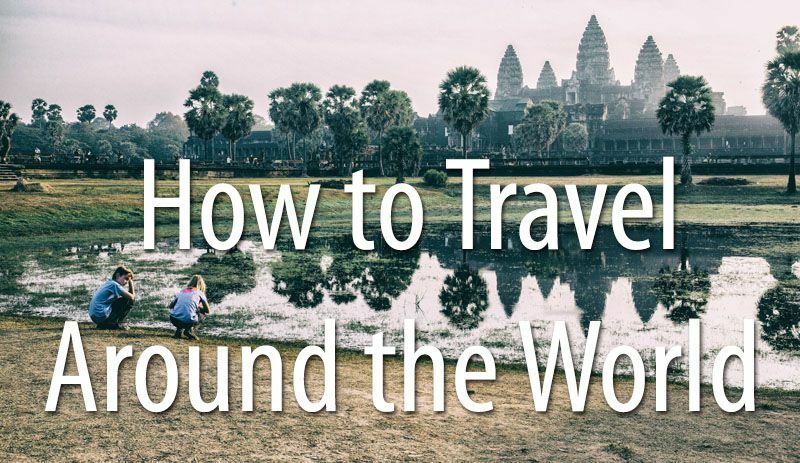 This is the area filled with rice fields, temples, artisans and their work, and even volcanoes. 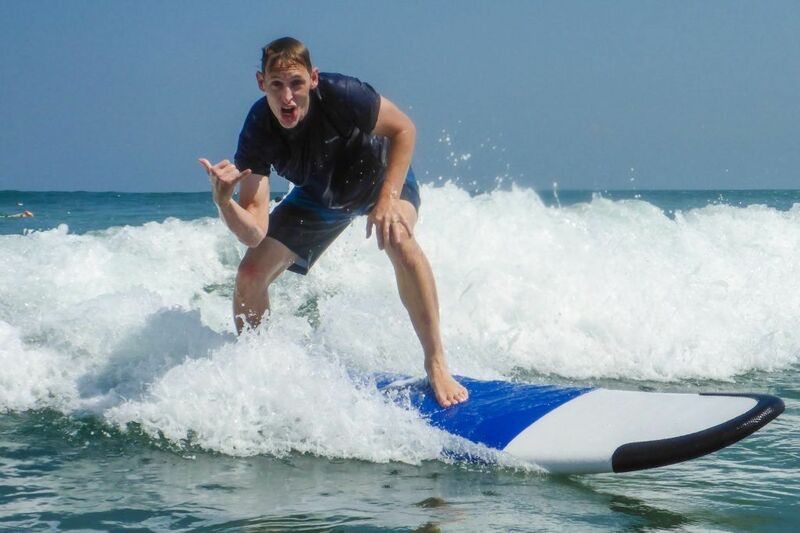 There is so much to do in Bali and we checked almost nothing off of the list. 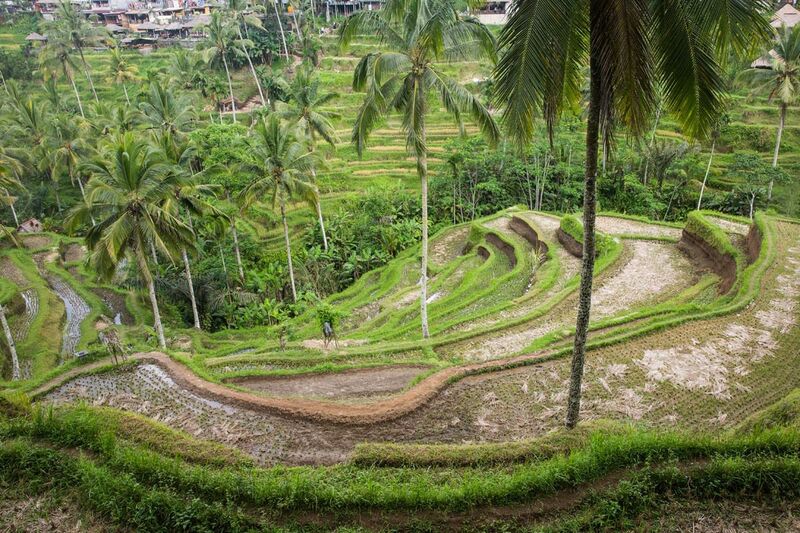 Visit the most spectacular rice fields, the Jatiluwih Rice Terraces…nope. Climb Mt. Agung for sunrise views over Bali…nope. Watch a cultural dance…no interest. 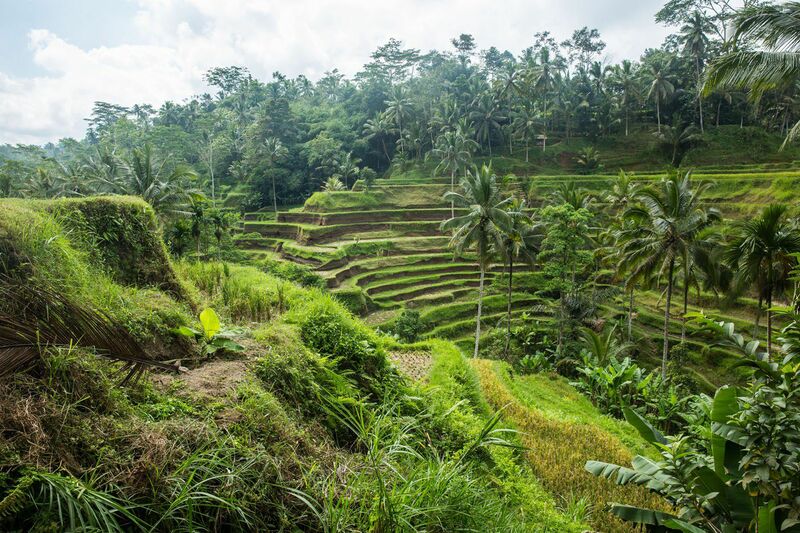 Take a Balinese cooking class…nope. 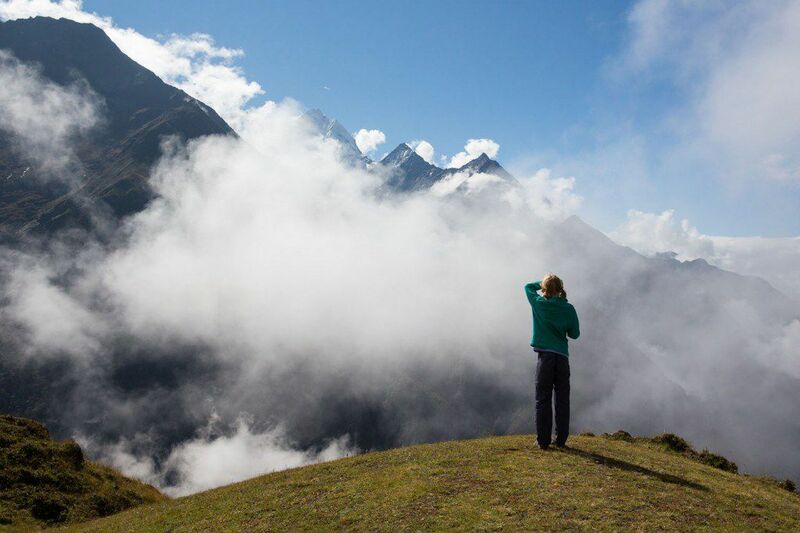 Do yoga at one of the best spots in the world…didn’t do that one either. So, what did we do? We had tons of fun, doing what we wanted to do rather than what tour books told us to do. 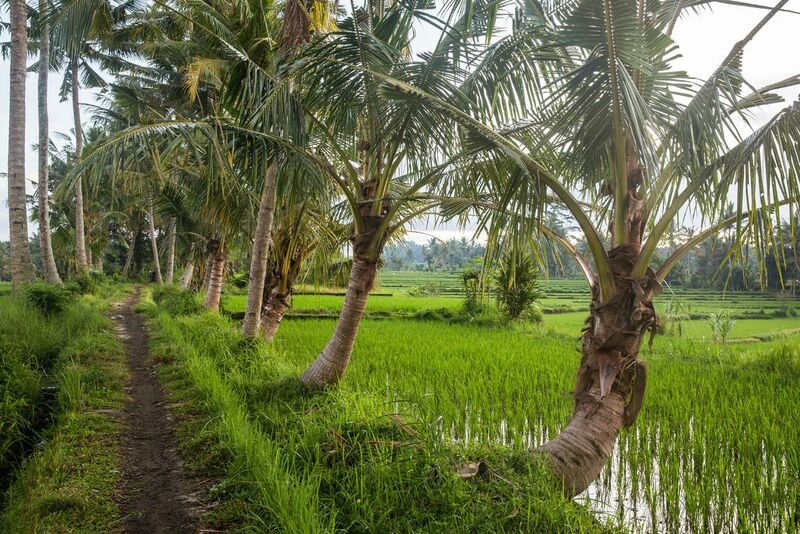 Walk in the rice fields next to our hotel…yes, every morning. Get a massage…yes! Swim in the pool…lots. 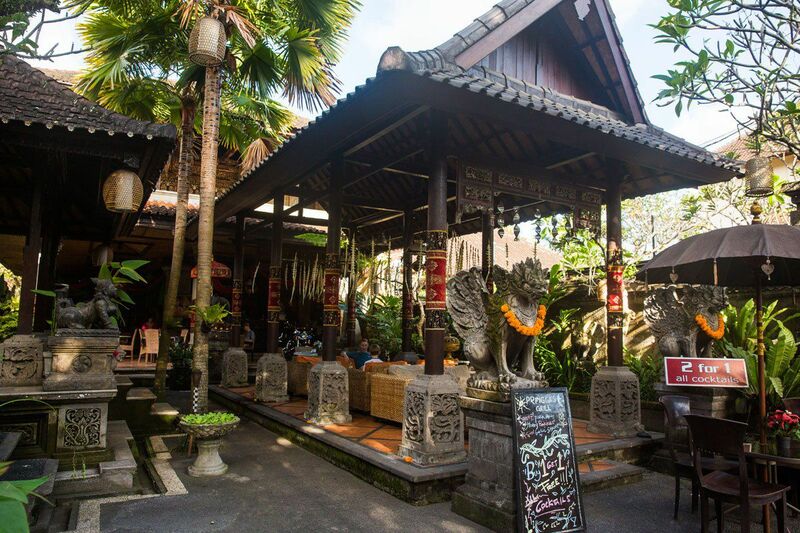 Go bar hopping in Ubud…yes, multiple times. Go on a shopping spree…yes. 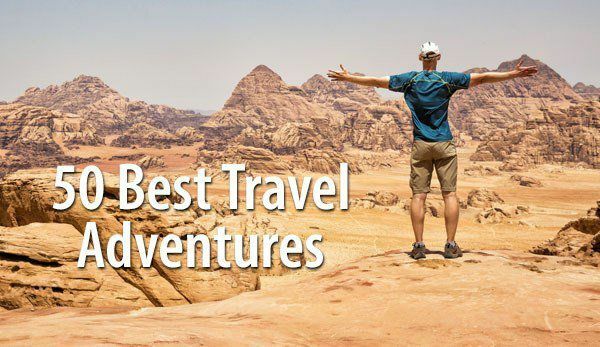 Have the most enjoyable five days of the trip…maybe so. 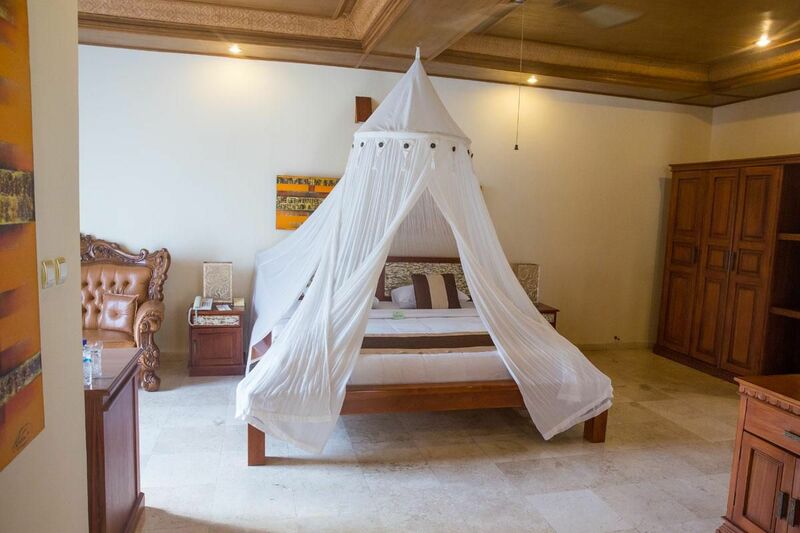 Since we knew we would be needing some downtime and that we would be here during our 16th wedding anniversary, we splurged on our Ubud hotel. 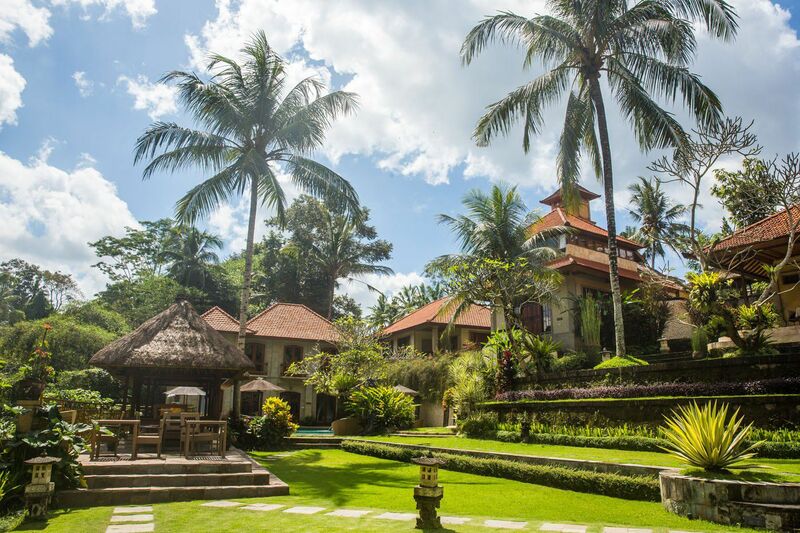 For five nights we stayed at the Hotel Villa Ubud and it was pure paradise. 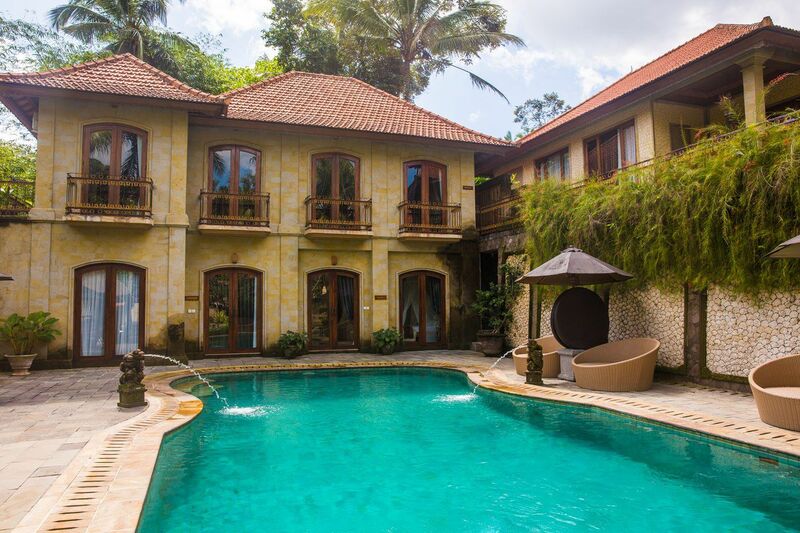 This villa sat in the Ubud rice fields about 15 minutes outside of town, a relatively quiet escape from the chaotic streets of Bali. The food was delicious, Tyler and Kara loved having the pool, Tim and I loved our morning walks through the rice fields. We had two large rooms to spread out in and views that we would never grow tired of. For us this villa was a splurge. This was only our second four star hotel of the trip (the first was First Gate Hotel in Jaisalmer when I had Dengue Fever and just needed a break from India). 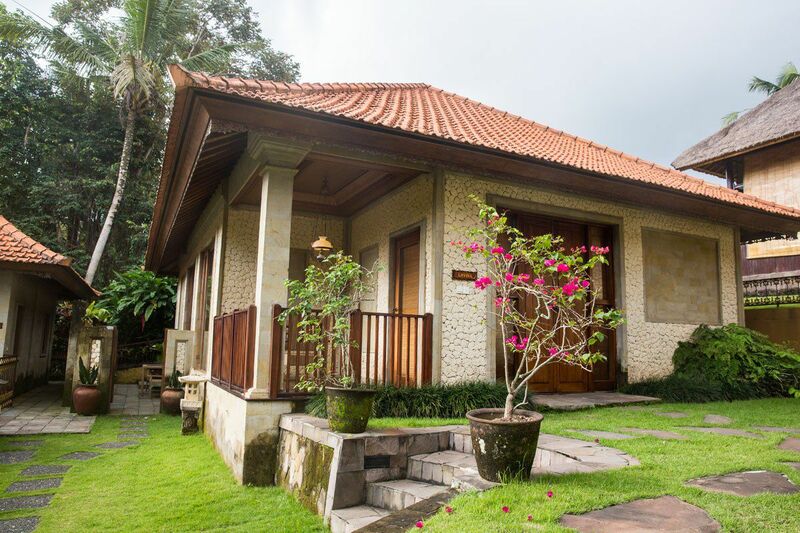 What’s so interesting is that this villa was cheaper than several of our budget hotels we crammed ourselves into in New Zealand and Australia. 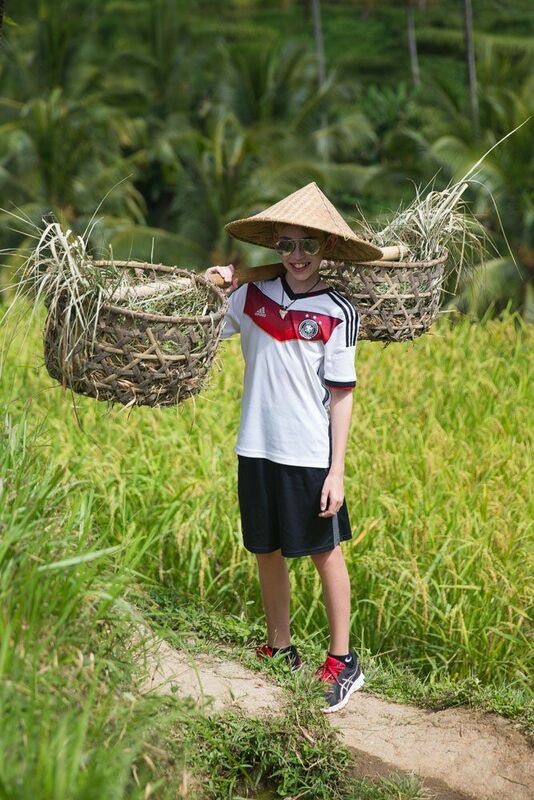 On our first day we took a walk through the neighboring rice fields with one of the hotel staff as a guide. 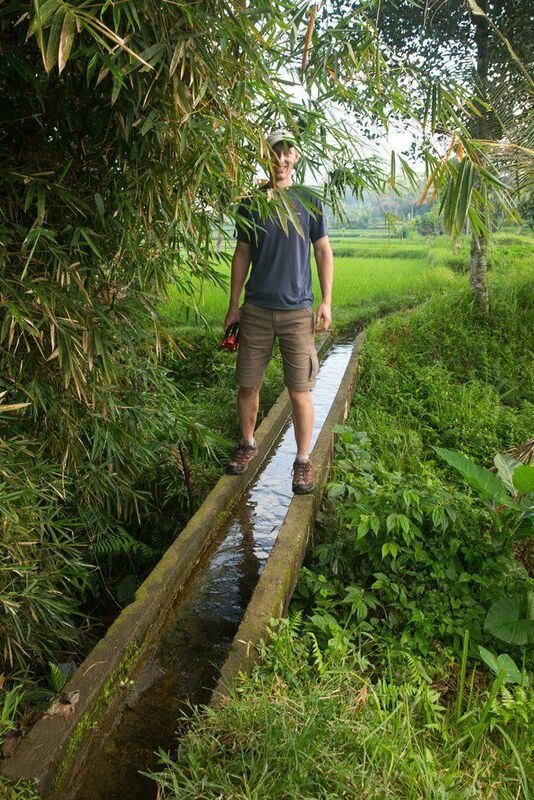 The four of us, and our guide, walked on narrow paths, flanked by palm trees, with rice fields on either side. It was mostly men working in the field and they would wave hi and smile at us as we passed by. 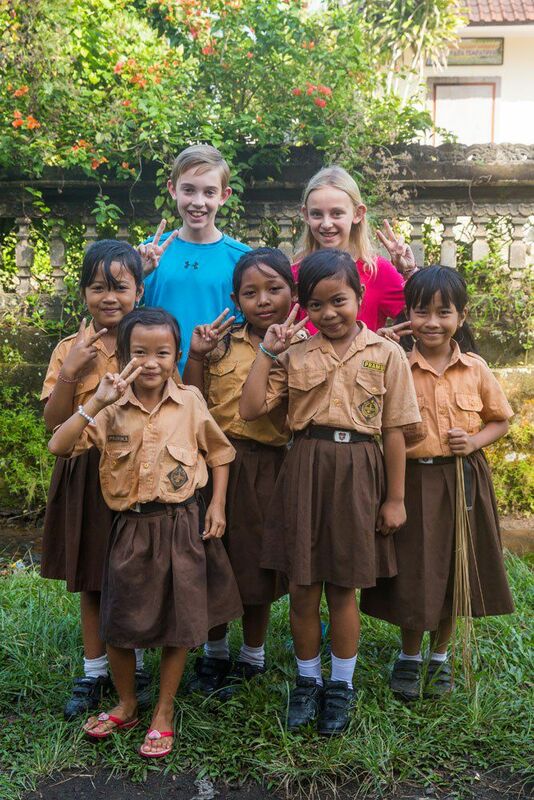 They would also speak to our guide in Balinese and how I would have loved to know what they were saying! Of course they were talking about us. 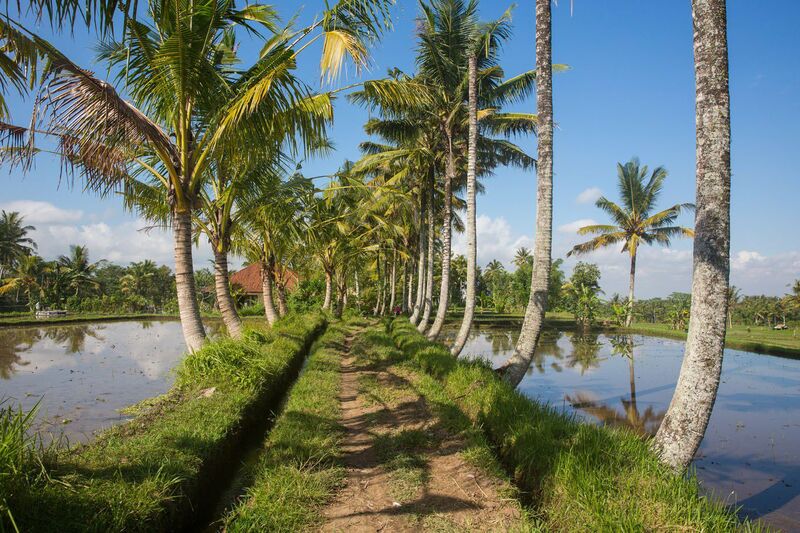 For fifteen minutes we walked on those narrow, dirt trails through the rice fields, in the shade of palm trees, the sun passing in and out of the clouds. 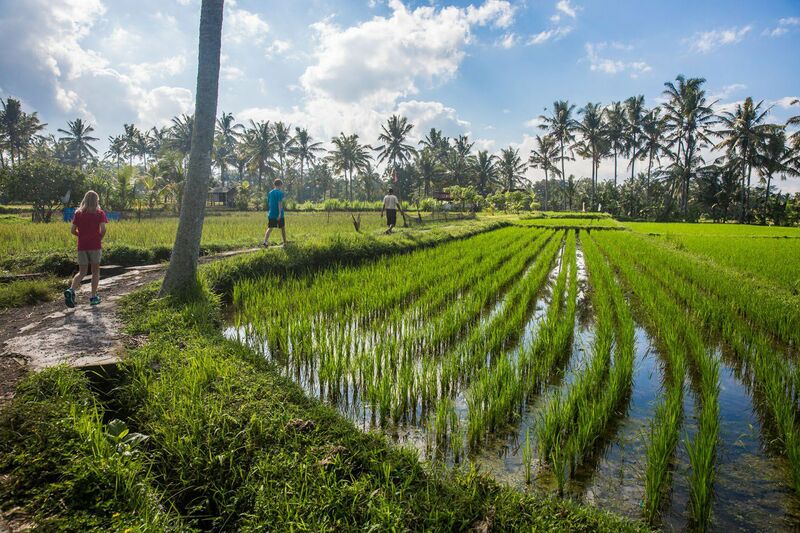 The lush landscape, the people in their white T-shirts working in the fields, the warm, muggy air, it was all so tropical and so Bali. To get back to Villa Ubud we had to walk along the road. This was the scary part, our introduction to the notorious Balinese dogs. Each house has its guard dog and each one of them made their presence known to us during the fifteen minute walk back to the hotel. Our quiet guide did not seem to mind them, but with the dogs constantly barking at us, walking up to us, almost nipping at our heels several times, we were really getting nervous. Visions of rabies shots were dancing in my head as we walked back to our hotel. 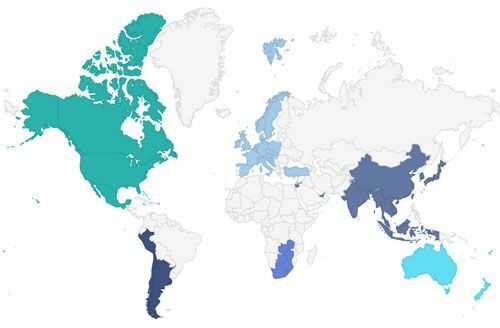 Earlier this year we had been the target of several dog attacks, mostly in India and Myanmar, and we were always lucky enough to escape without actually being bitten. The closest we ever came was when I went out on a morning walk alone in Mandalay, Myanmar. It was 6:30 am and I was on the search for a bakery, to bring back breakfast for my family and for something to settle Tyler’s stomach, who had spent the previous day sick with food poisoning. I was walking down the street not far from our hotel, watching people setting up their food stalls for the day, saying hello to people as I passed by. Just then, two dogs came out from behind a car, barking and snarling at me. I tried ignoring them, just continuing along my way. From behind me, I could tell that they were following me, teeth bared, growling, not very happy that I was in their territory, I assume. Still, I kept walking. The dogs kept following. As they got closer, panic set in, and even though I knew that it was the wrong thing to do, I started running, trying to get away from these two dogs. That just incited them even more and they picked up their pace. If I kept running I knew I was going to be bitten. They were literally two feet away from me and getting closer. At the last second, I spun around, flung my arms out wide, squatted down to their level, and yelled back at them. It was enough to scare them off and they sauntered back to wherever they came from. The people who were out on the street looked at me with curiosity. A little shaky but proud of myself, I continued on my way. I never did find a bakery but I did take a different route back to the hotel. After this incident combined with several other close calls, we have a certain wariness about coming into contact with stray dogs now. 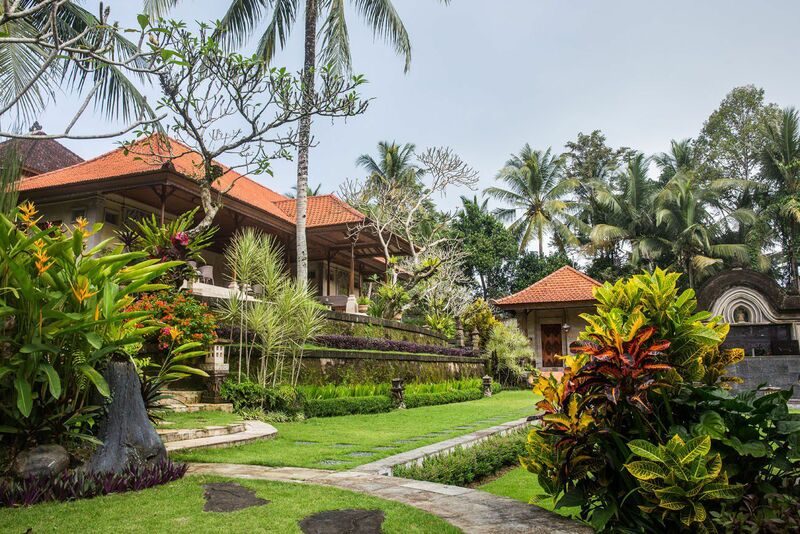 With that being said, our nerves were a little rattled once we were back at Villa Ubud, safe and sound, at least for now. 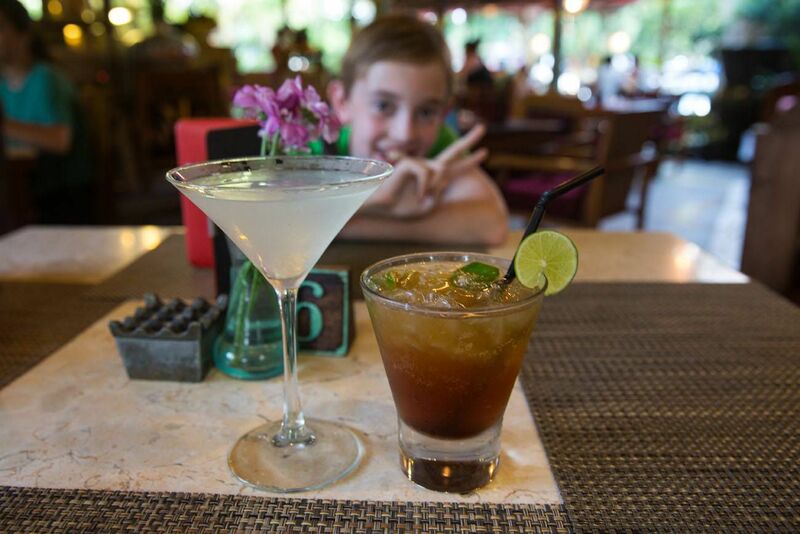 Every afternoon we would travel into Ubud for dinner, drinks, and shopping. 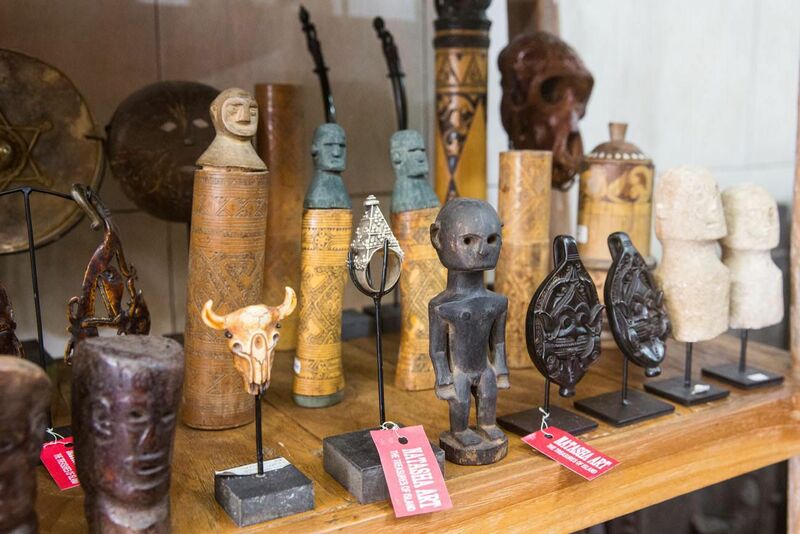 This was a great place to go shopping for Indonesian souvenirs such as sculptures, paintings, and woodcarvings as well as all of the typical “I Love Bali” T-shirts, postcards, and knick-knacks. After being in New Zealand and Australia for two months everything here seemed so cheap! We could get drinks with dinner and not pay a fortune. To lure customers in, most restaurants were offering an all day Happy Hour special, which we took full advantage of. Tim and I hadn’t been out drinking like this since being with my brother, TJ and my mother, Kathy, in Bangkok. Needless to say, we were having a blast! 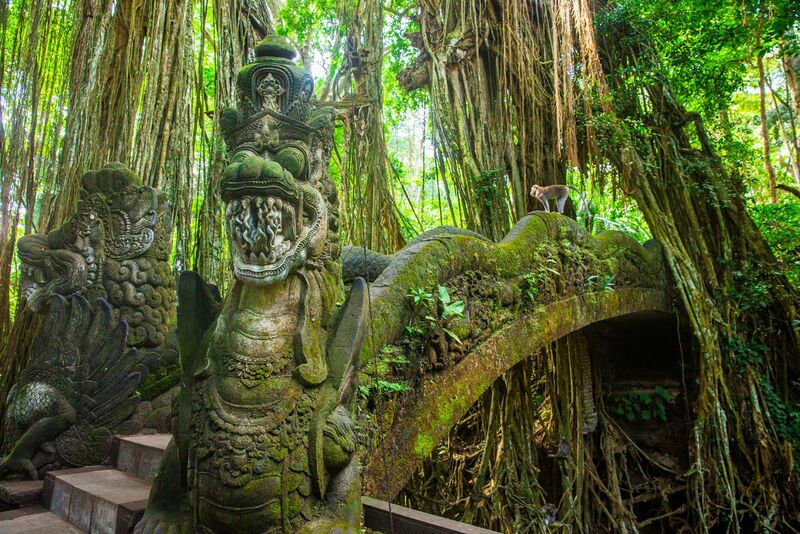 One of the neatest places to visit in Ubud is the Sacred Monkey Forest Sanctuary. 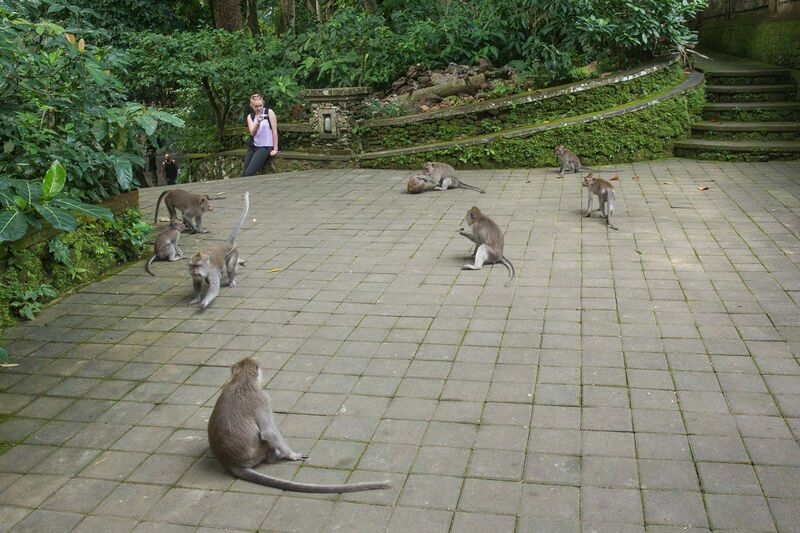 This is a collection of temples but the stars of the show are the monkeys that roam freely here. Immediately upon entering the park was a sign warning visitors to not carry any food or water and to take off all jewelry and sunglasses as this may attract unwanted attention from the monkeys. While Tim was putting Simba away in his backpack, curious monkeys gathered around, one trying to climb up Tim’s leg in order to find out what interesting things he was carrying around with him. A shake of the leg sent the monkey away but this showed us just how interesting this visit was going to be. 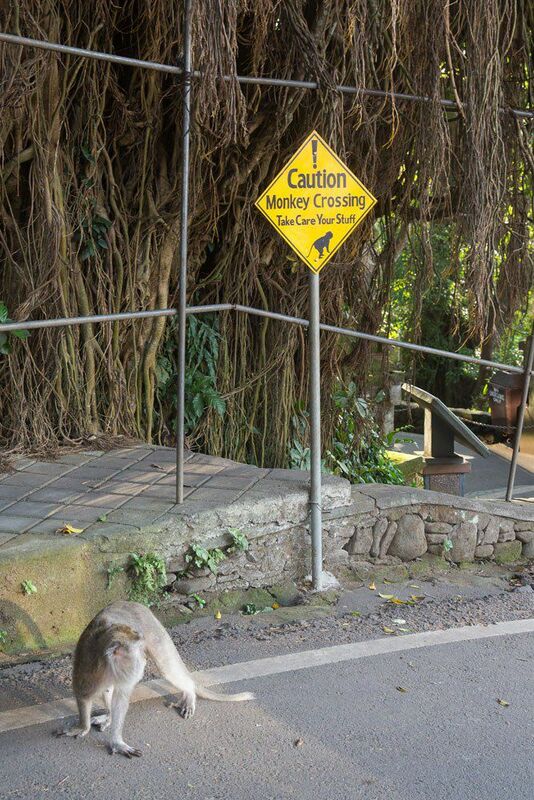 The Sacred Monkey Forest Sanctuary is a national park but there were no signs here warning people not to feed the monkeys. In fact, feeding the monkeys is encouraged, with women selling bunches of bananas to feed the monkeys. 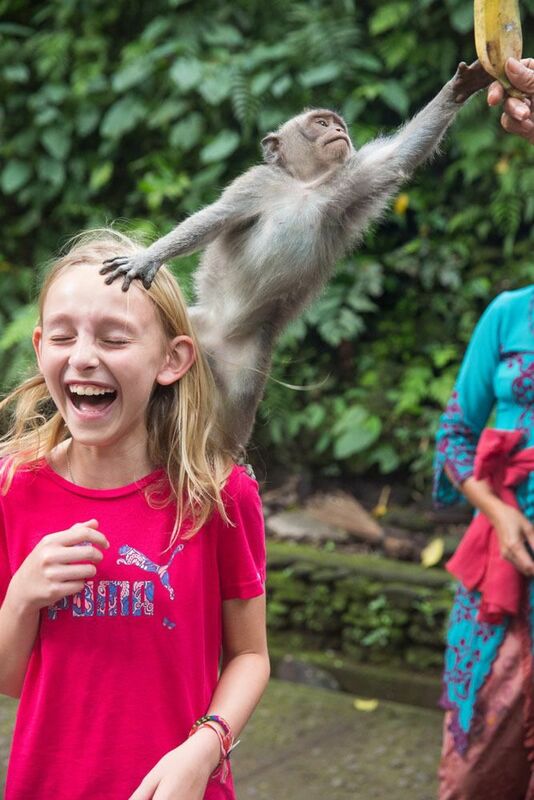 One of these ladies demonstrated the best way to feed a monkey, by holding the banana high over Kara’s head, forcing the monkey up on top of her head for the best photo. 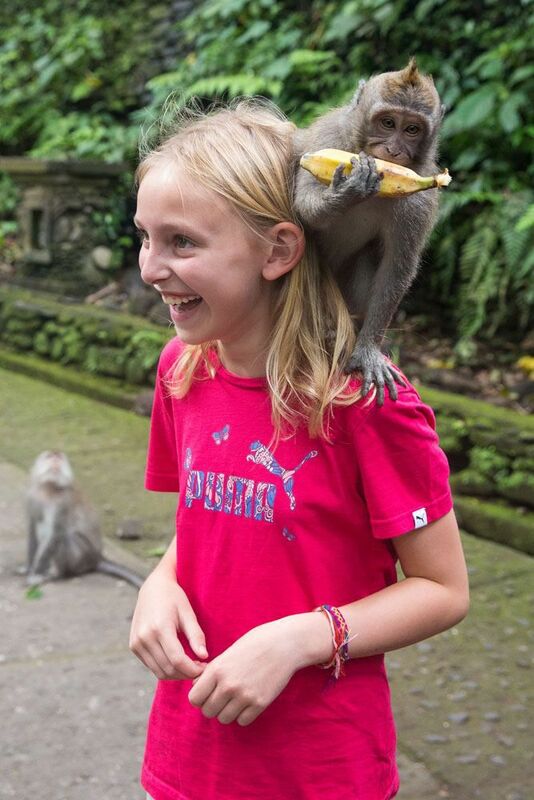 Kara was a good sport and little surprised that the monkeys would be so bold. We walked through the park and as long as we did not carry anything in our hands or tried to reopen Tim’s backpack we received no more attention from the monkeys. 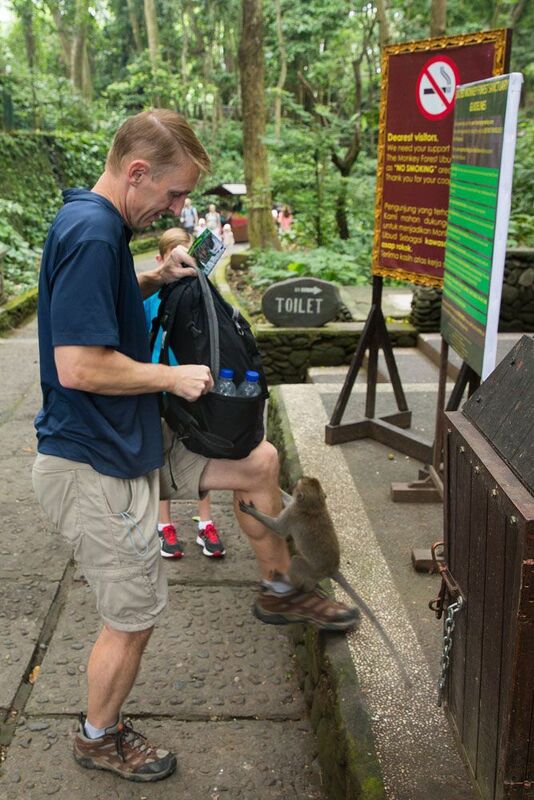 But we did learn that not all of these monkeys are friendly. A Chinese man sat down on a step, knowingly attracting a handful of curious monkeys over to him. He provoked one of them, just a little bit, but it was enough to receive a bite on his upper arm. It was enough to draw blood and earn himself a visit to the First Aid stand. This must happen frequently enough that there is a first aid stand dedicated to monkey bites. That left me wondering…would a monkey bite require rabies shots? Determined not to find out, we did nothing to attract the attention of any of the monkeys for the remainder of our visit. 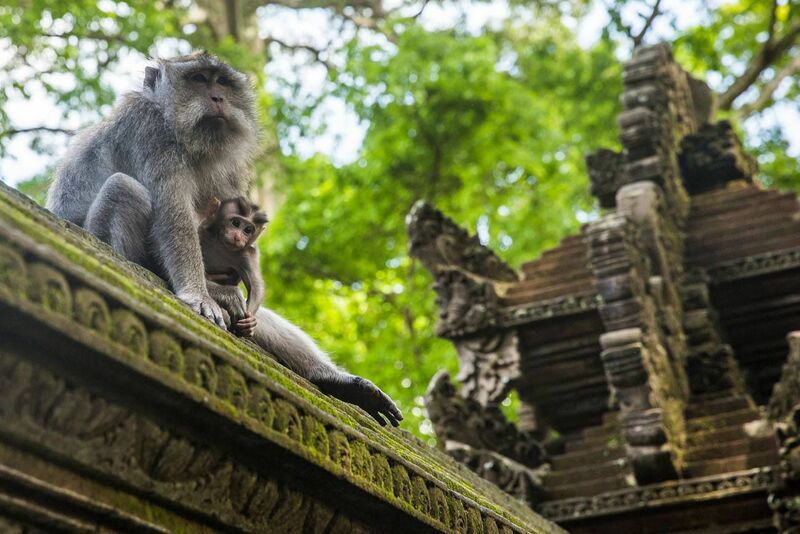 There are more than monkeys to see at the Sacred Monkey Forest Sanctuary. 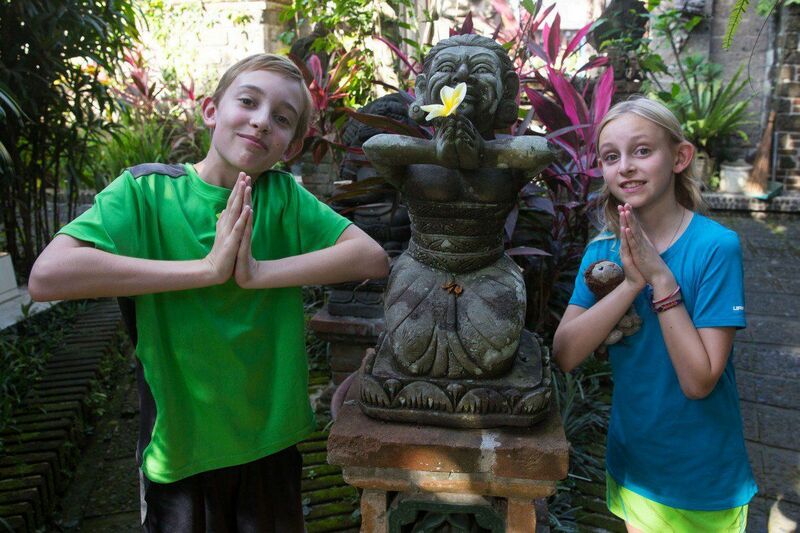 Much to the delight of Tyler and Kara, there are several temples to visit. 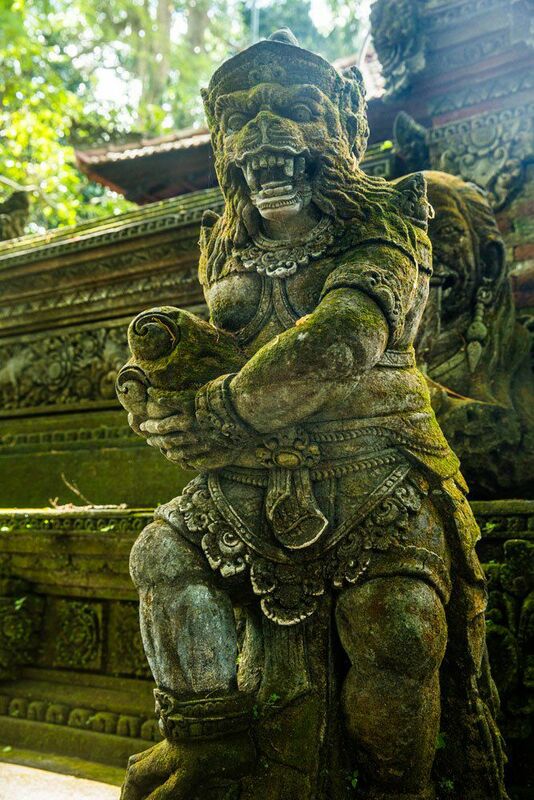 The highlight of the temples are the carvings of monkeys, frogs, and other strange looking animals, all looking somewhat ferocious and menacing. 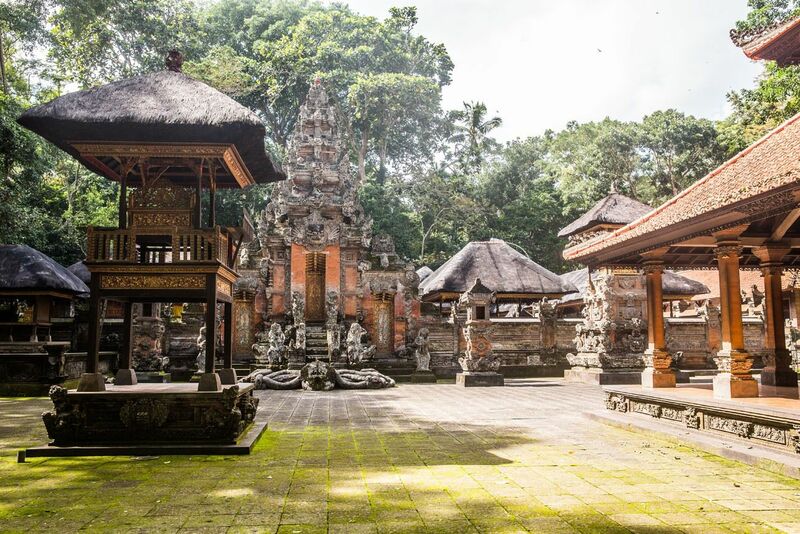 Their moss-covered bodies made the temples seem mystical and otherworldly, like we were out in the middle of the jungle even though we were in downtown Ubud. 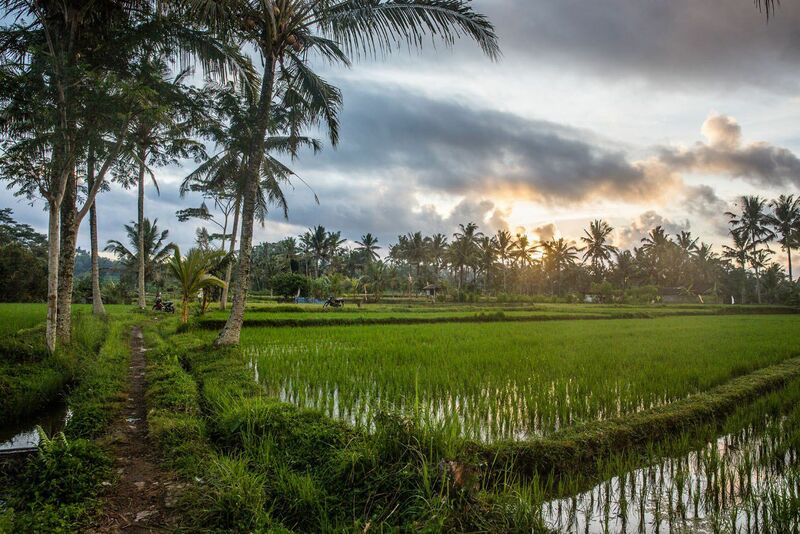 While in Ubud our days became a routine…Tim and I would go on an early morning walk through the rice fields, leaving our tired, sleepy kids in the room. 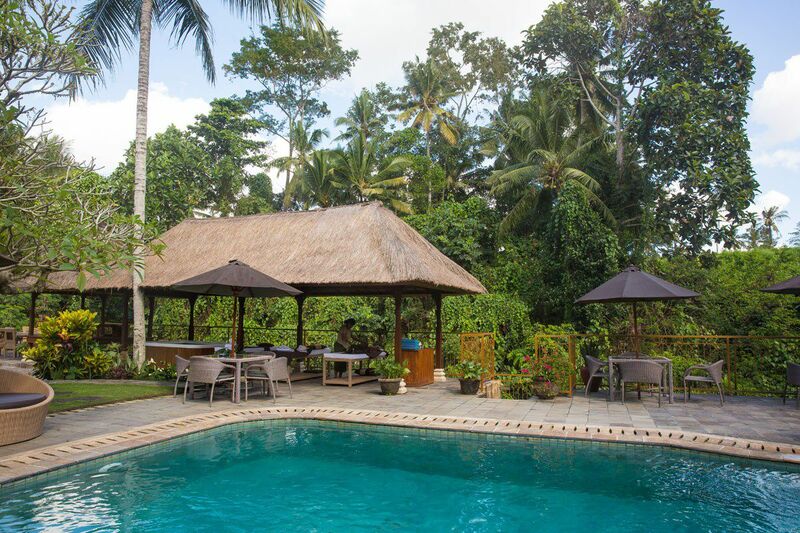 Then we would hang out at our hotel pool, leaving at 3 pm to go into Ubud for shopping, happy hour and dinner. It was relaxing, unstructured, and pure fun, just what we have been needing. 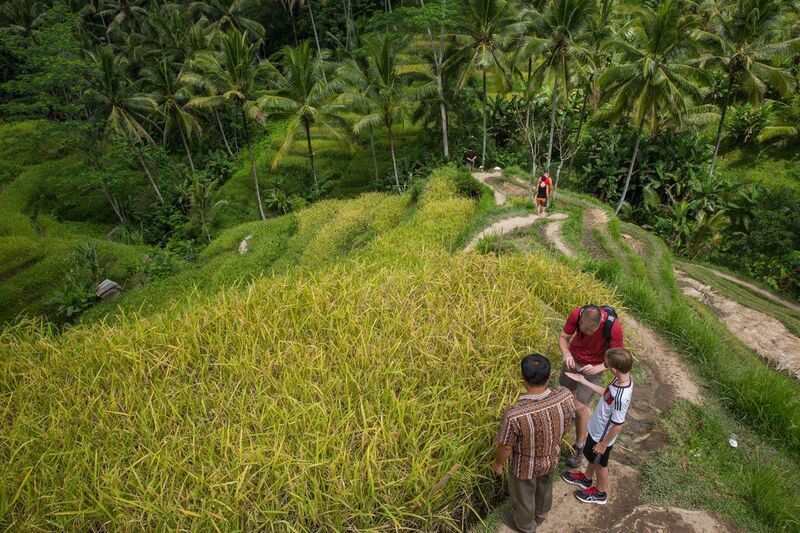 Before leaving the Ubud area, we did manage to travel north forty minutes in order to see the Tegallalang Rice Terraces. These may not be the most famous or most beautiful rice terraces (those are two and half hours away) but seeing these were worth it. Our driver doubled as our tour guide. 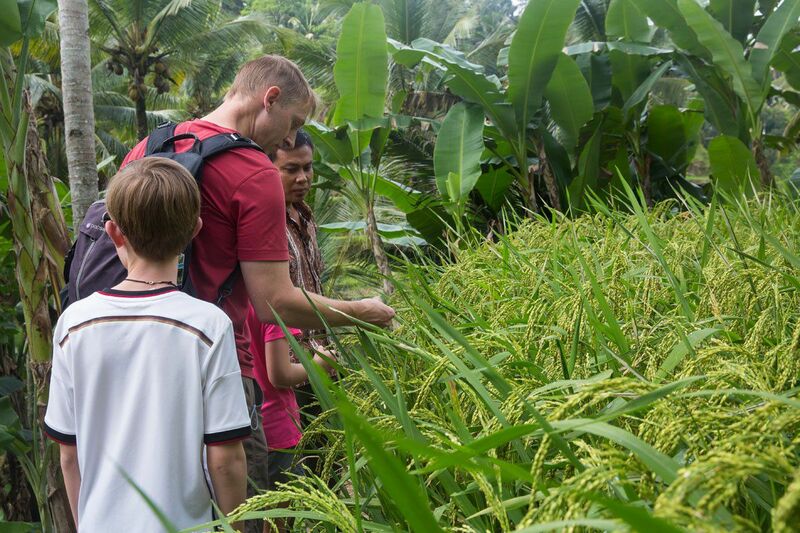 He showed us the rice in its various stages of growth, made a horn out of a thick, green reed, and took us through the rice fields. 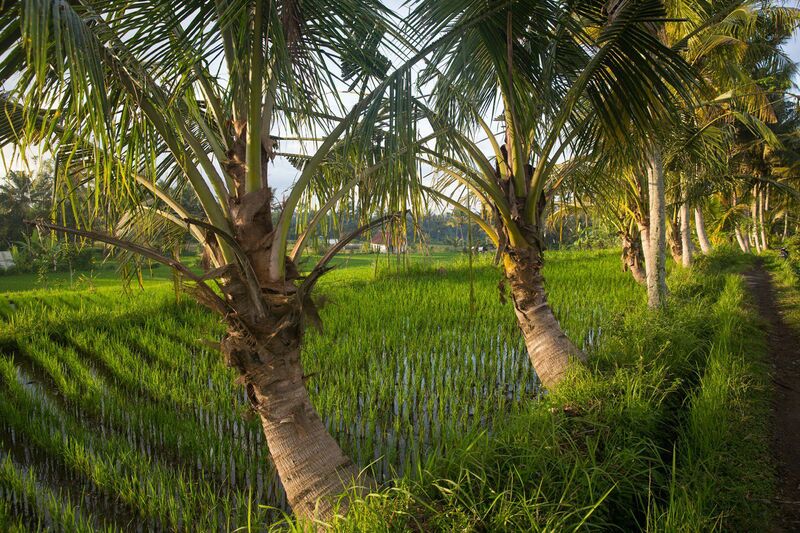 From Ubud we travel south to Seminyak, one of Bali’s most famous beaches, for more of the same R&R. 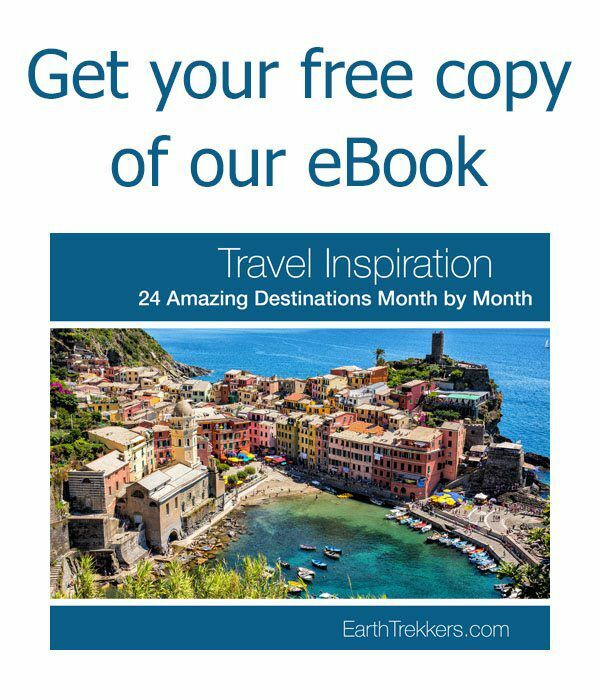 Looking for another great destination in Indonesia? Read about stunning Sumatra on AdventureTogether.com. I’m Indonesian but currently studying in Scotland. 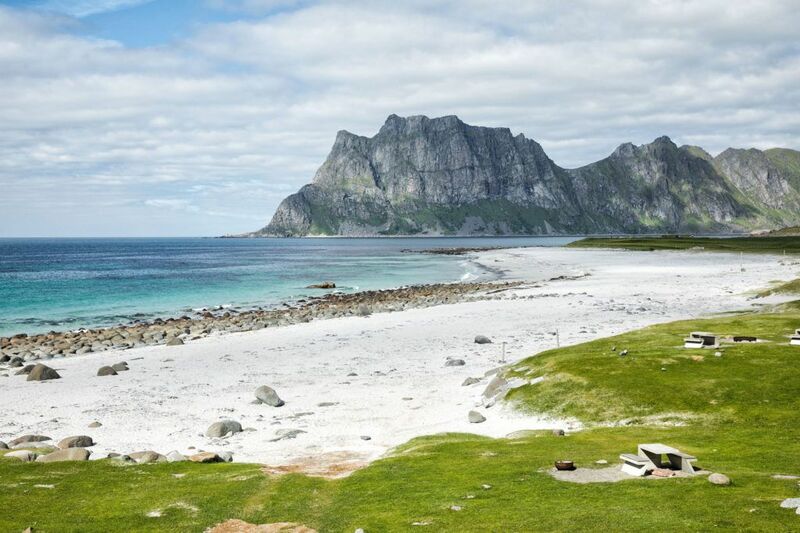 In August I’ll have a summer school in Norway, and that’s why I found your blog, to find information about what to do and where to go in Norway. I enjoyed reading your story, and glad that you had wonderful time in Bali. 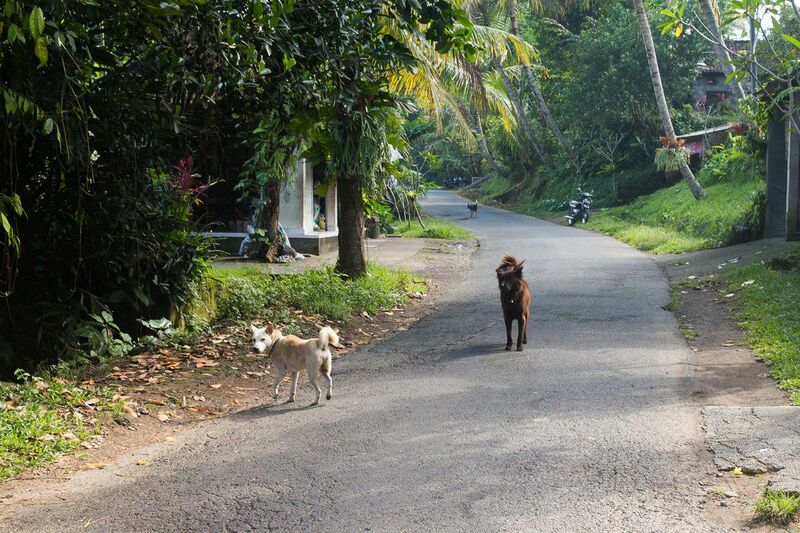 Despite the strayed dogs, the people are friendly and Bali is quite a safe place for tourists. Yogyakarta, Lombok and Flores are another beautiful places. Lombok and Flores may not as developed as Bali and Yogyakarta for foreigner tourists, but the beaches and the nature are so beautiful, and the people are friendly. I love all of them. 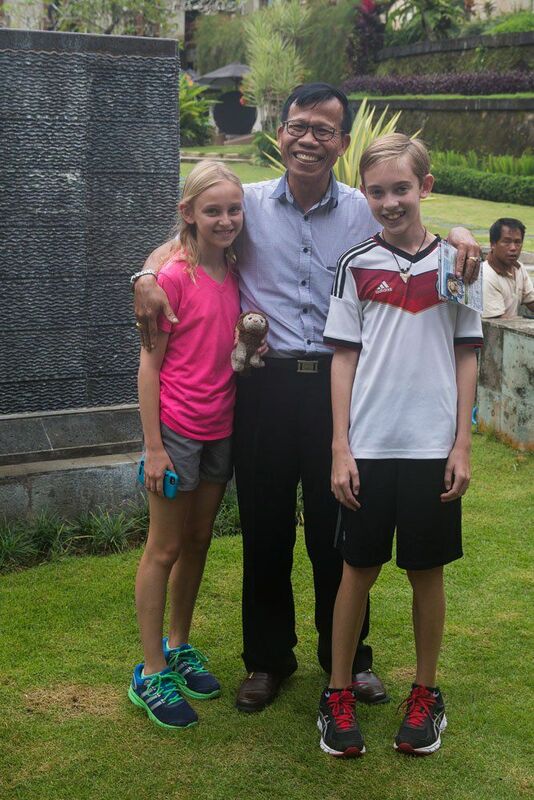 Thank you for visiting Indonesia and share your story. You have a beautiful family and so lucky for having one year traveling to the most breathtaking places in this precious planet with your loved ones. 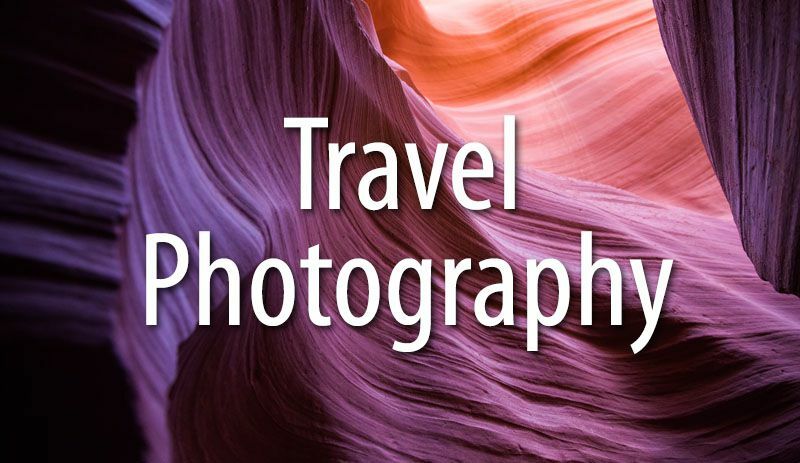 Great stories and photos! Hi, thanks for your respond. Komodo National Park is in Flores Island (habitat for Komodo dragon), and in Lombok you can do hiking to the top of Mt. Rinjani (National Park)… 🙂 In Yogyakarta you can hike to Mt. Merapi, but it also famous with Prambanan and Borobudur temple. If you like spicy foods, Lombok is the best place to try its hot Chicken Plecing. I’d be glad to share any information about Indonesia, if you maybe need it next time you visit Indonesia again. 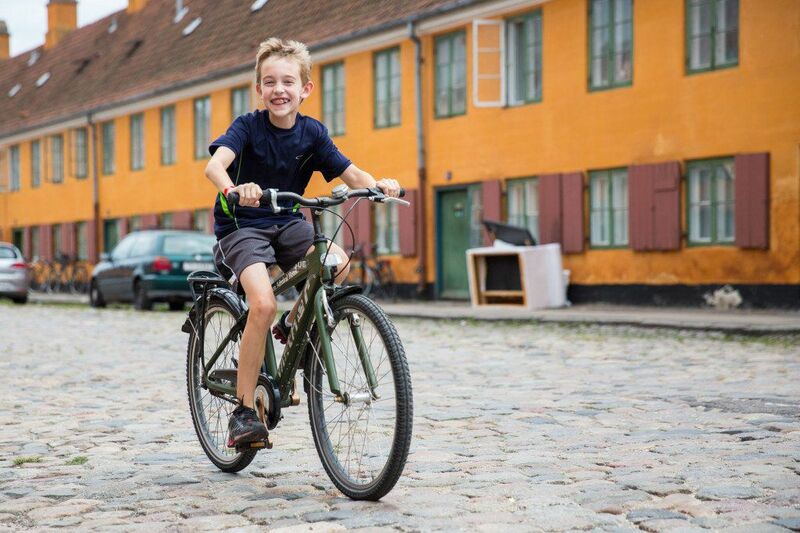 Thank you for this wonderful post and your reflections on the past year. As the time draws near for your return, I’m going to miss reading about your adventures in far off places. 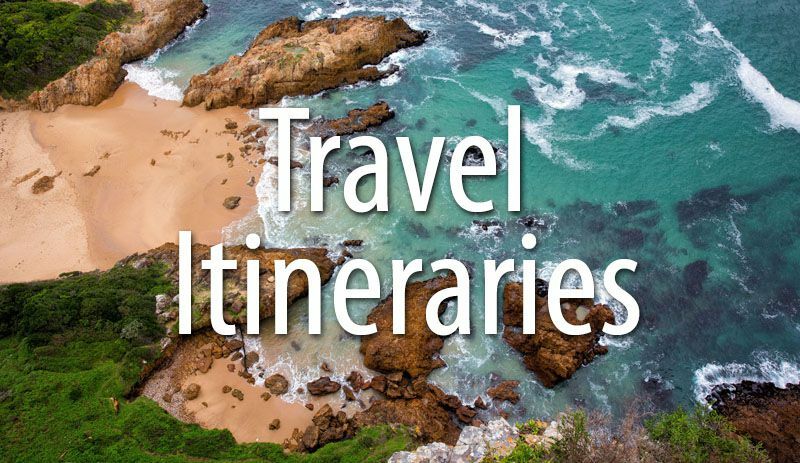 I’m looking forward to your travels coming up in the next month or so. Stay safe on this last part of your journey.